Engine : Warmed up 460, L&L fenderwell headers, 40" glasspacks bolted straight the the headers with turn out in front of rear tires. 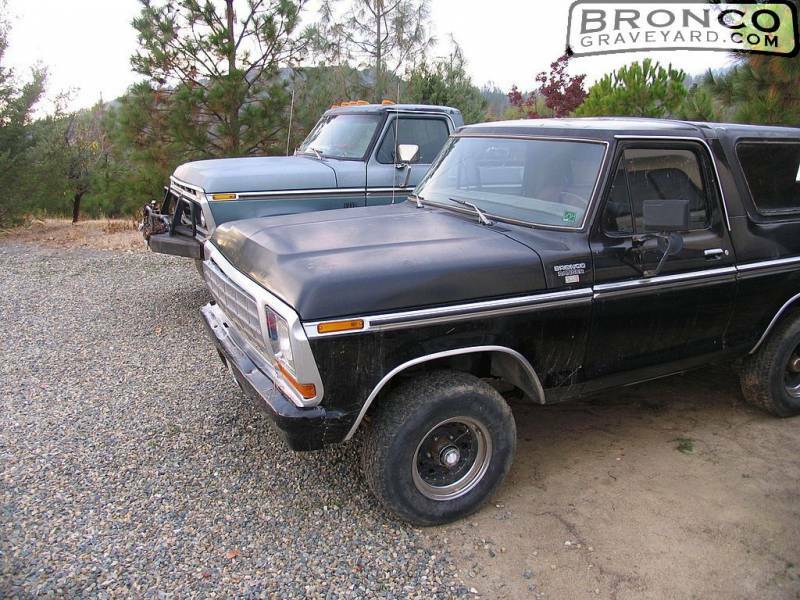 1979 Bronco Ranger XLT, after sitting for 6 years the engine wouldn't start any more so I start getting it ready for the 460 transplant, he still has Original Black Paint although its seen better days, what is nice is there is still no rust on the body. 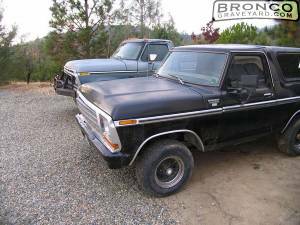 Recently Under gone a partial restoration, new 6" lift(skyjacker) Bronco is NOT!! FORSALE!!! The Highboy in the picture has been parted out!